I was the winning bidder on that one. When I remembered that antny wanted it, I contacted him to let him know that if he wanted to know my max bid, I'd tell him so he could outbid me. 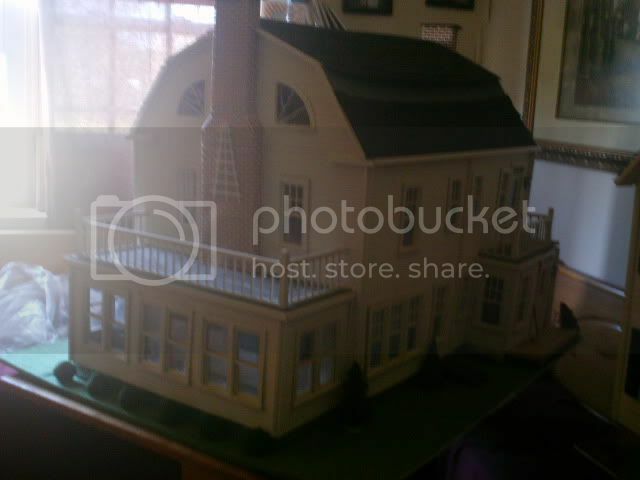 I mostly wanted it because I love that 2005 movie house. antny thanks for being so nice about it and I'll stop being lazy about getting my digi cam fixed, and post some pics when I get it! Plus I'll keep looking for another globe for you. Thanks antny! I appreciate it! I actually won the globe on Sunday on Ebay... I had it saved in my favorites and was undecided on whether I should bid or not, but when I checked there was only 2 minutes left and no bids, so, I decided what the hell and won it! yay! Can't wait to get it! I'm having it shipped to my job so I'll be opening it as soon as I get it! I'm so glad you got it! And at a reasonable price too! I hope it arrives soon! Me too, I hope it comes soon, I'll be sitting at work waiting for it lol and being that I'm working the next 13 days straight, I'll be there when it comes! yay! But not yay for working 13 days lol I guess I have to make up for spending money on the globe. ha. 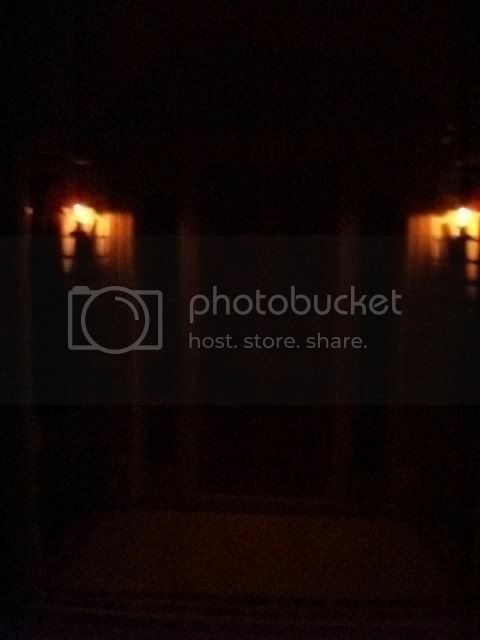 I finally got around to painting the front door red, the house is mostly meant to look as it did in the original Amityville Horror, and not II or 3D. 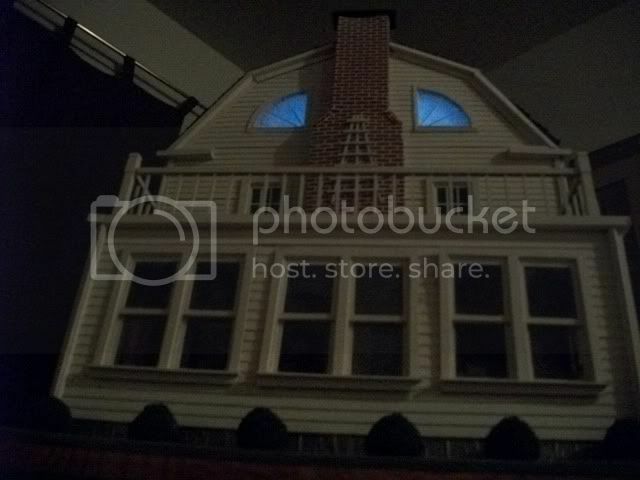 This is because I added flower boxes to the first floor windows and also painted the door red, which is how the house appears only in Amityville Horror. 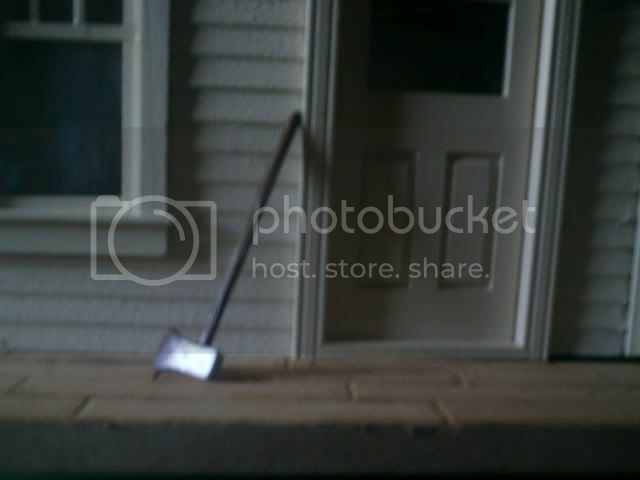 I also added a small axe near the back porch door, where Goerge cut fire wood in the original film. I had to use an axe from a Friday the 13th/Jason figure I had, but I plan on buying a more realistic looking dollhouse axe later on. Recieved my snow globe today! Yay! 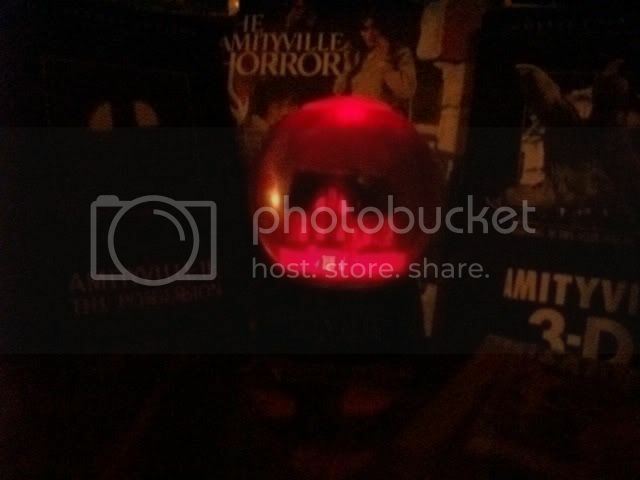 I have a few of my collectables in a glass curio for now until I put floating shelves up for them all. Your collection is looking very good there! antny if you can get one of those hologram type postcards of the 2005 movie house, you should get that, it's beautiful! I'll let you know if I see one, they are usually very low priced, only like $1.99. Thanks! That's only a few of my things, I have a lot more framed photos and booklets if you go back a page or two... 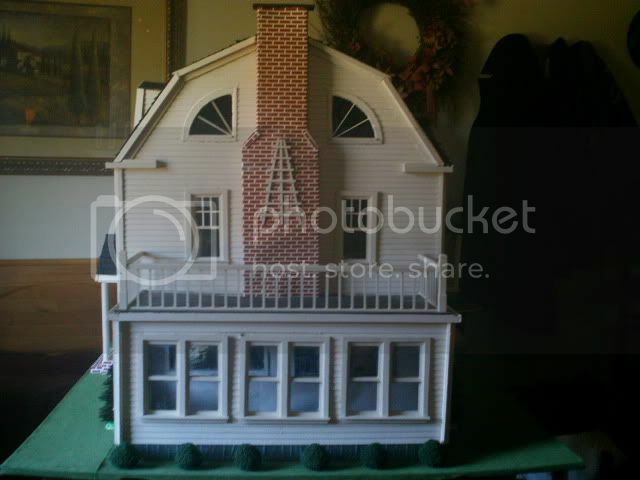 I also have a bat used in the Amityville Dollhouse film. I plan on displaying it all on shelves when I get around to buying them and hanging them up... can't wait! 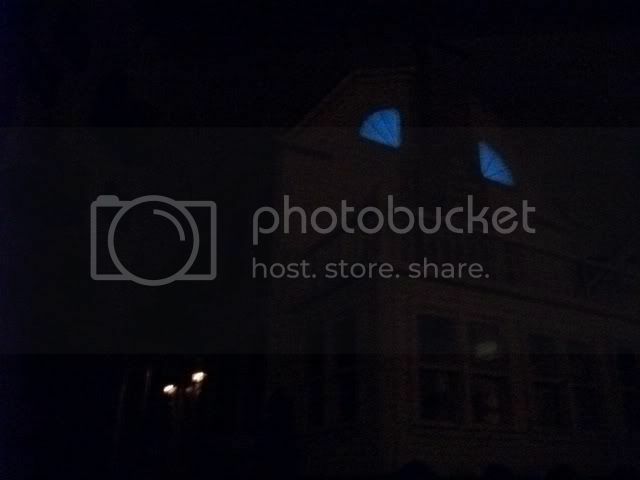 I'll have to go back and look at your other photos. 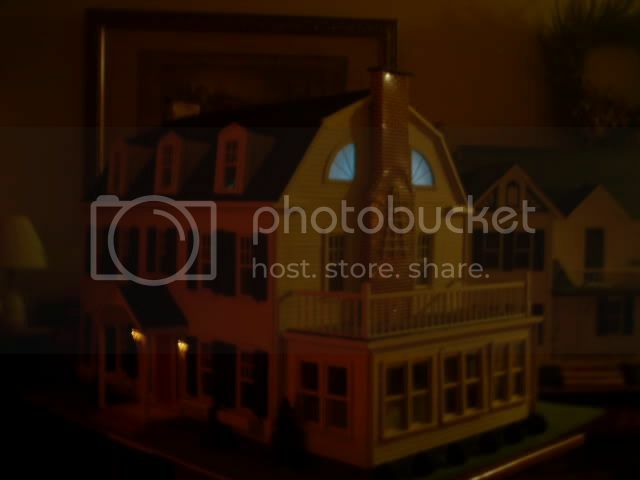 That's cool you have a prop from an Amityville film. 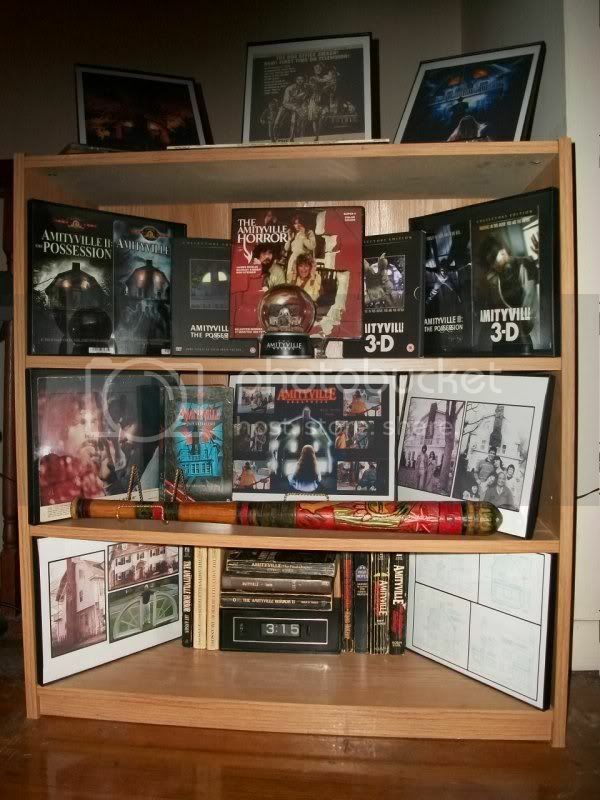 I think I'd like to have either the dragon statue or the silver crucifix from the first film if I could have any prop. 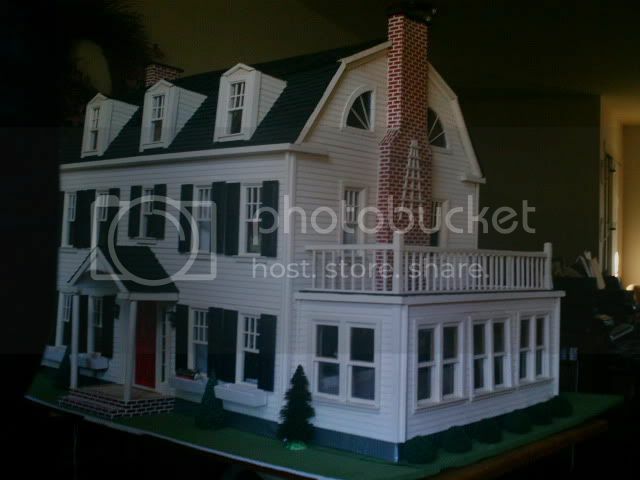 I've talked to two people from Amityville Dollhouse. 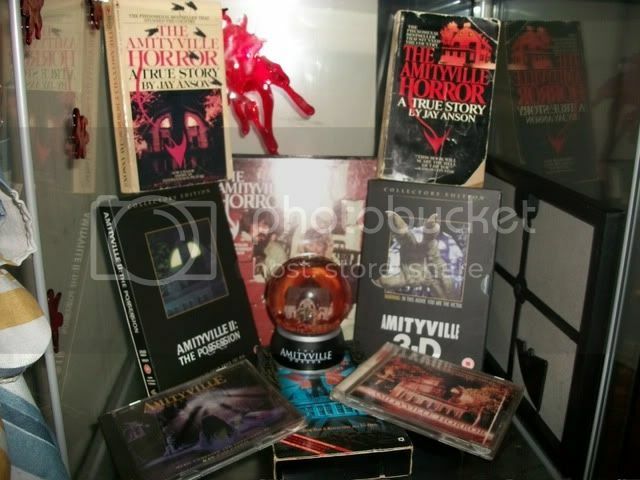 One is the young boy, Jarrett Lennon, there was this kid Mike who used to run an Amityville web site that was more for the films and Jarrett used to talk on there a lot. 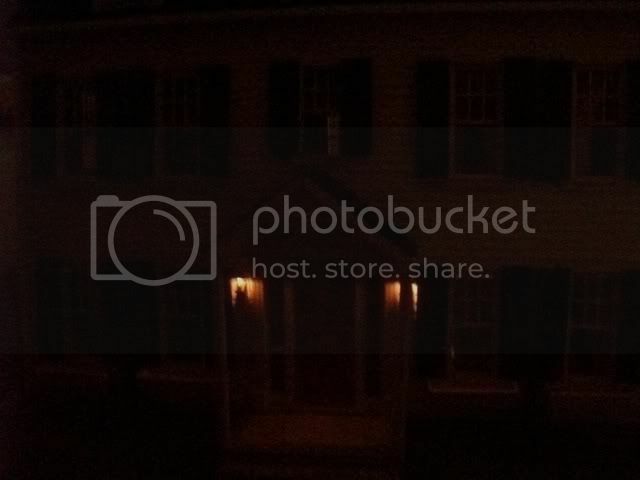 I haven't talked to him recently, but I know he has behind the scenes photos from the film on his website. 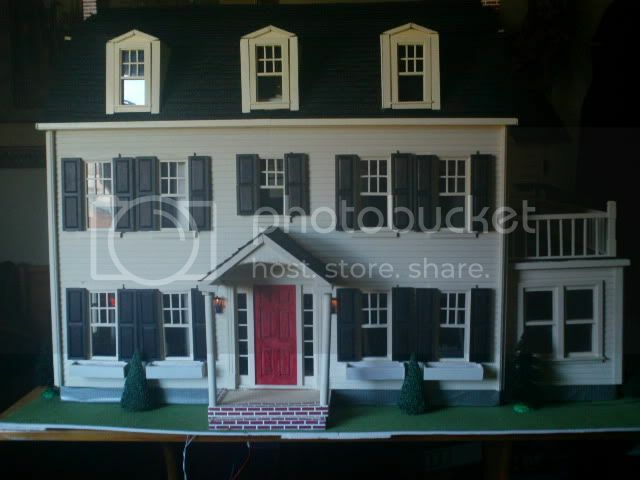 I also got in touch with Tom Capalletti, who was a prop man for Dollhouse, he helped build the dollhouse as well. He still had the baseball used for the pinata scene from the film, and was willing to hand it over as long as I paid shipping, so I took that offer right away! 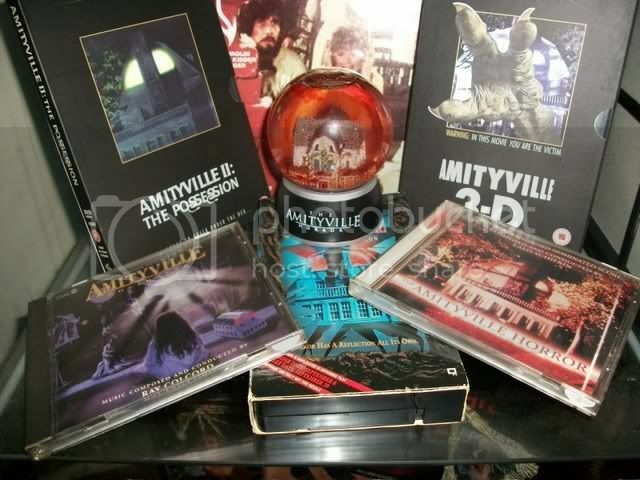 I have a few score cd's, two UK Special Edition DVD's not available in the US, and a lot of framed photos and booklets, plus the snow globe, and an 8mm Amityville Horror film, which is another very rare item I've seen on ebay years ago and then again recently. That's cool you were able to talk to a guy involved with the film and get the prop. 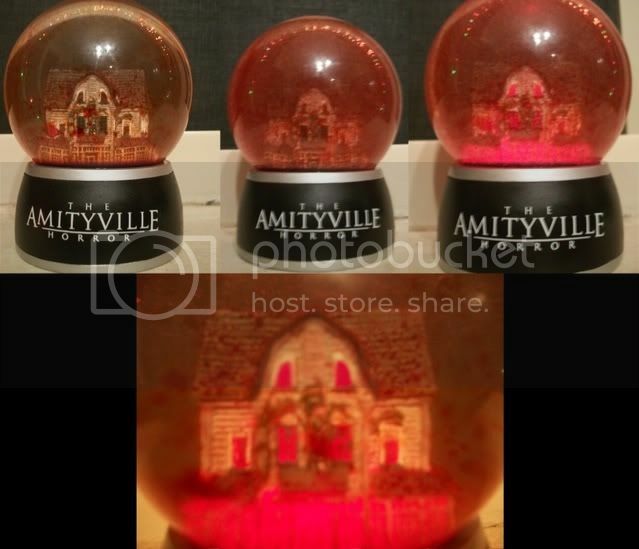 If you ever find out about more Amityville movie props, I wouldn't mind trying to get something. Have you gotten any of the Japanese movie programs? I see those on eBay. I'd like to have one because I have studied Japanese and love Japanese culture, but they are usually pretty expensive. Also, get yourself one of those little cards from Topps if you haven't, they are very cheap and have a lovely picture of the real house as she looks today! Wow that model sure is impressive. Ace work! 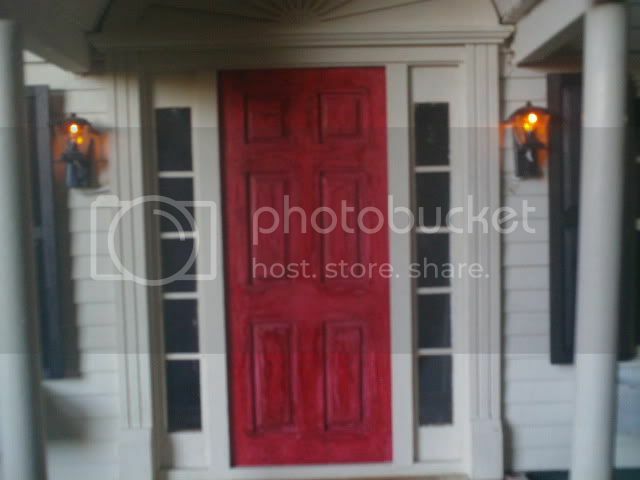 antny000 wrote: I finally got around to painting the front door red, the house is mostly meant to look as it did in the original Amityville Horror, and not II or 3D. 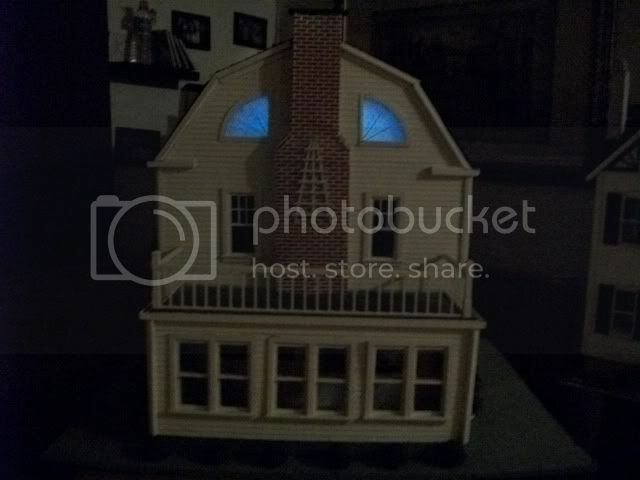 This is because I added flower boxes to the first floor windows and also painted the door red, which is how the house appears only in Amityville Horror. Welcome to the board "Montellie85"! My aunt recently gave me a book shelf she no longer needed, so I decided instead of putting a million holes in my walls to hang up everything, I would put it on the shelves. 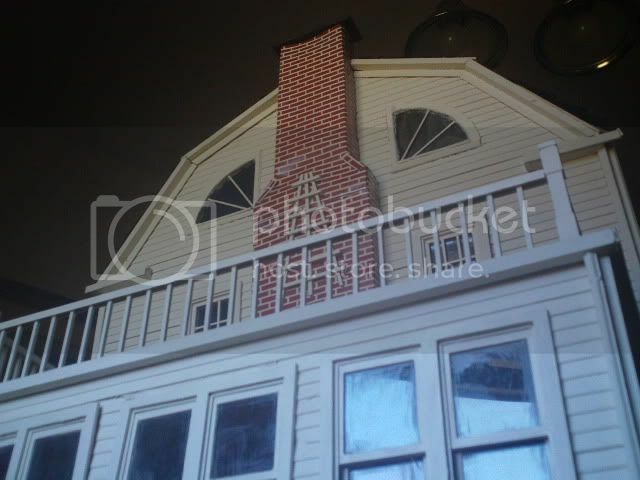 I plan on putting the house behind/above it, on the wall, above our staircase. 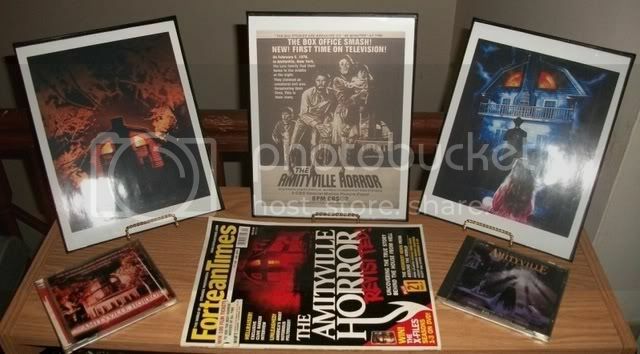 I have to take newer photos because I added 10 mini Amityville II/3-D lobby cards that came with the Spec. Ed. DVD's for the films. 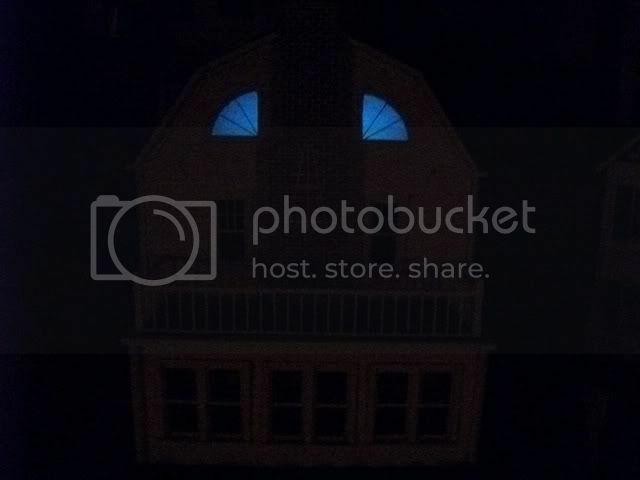 But that's pretty much my entire collection, aside from the model of the movie house!